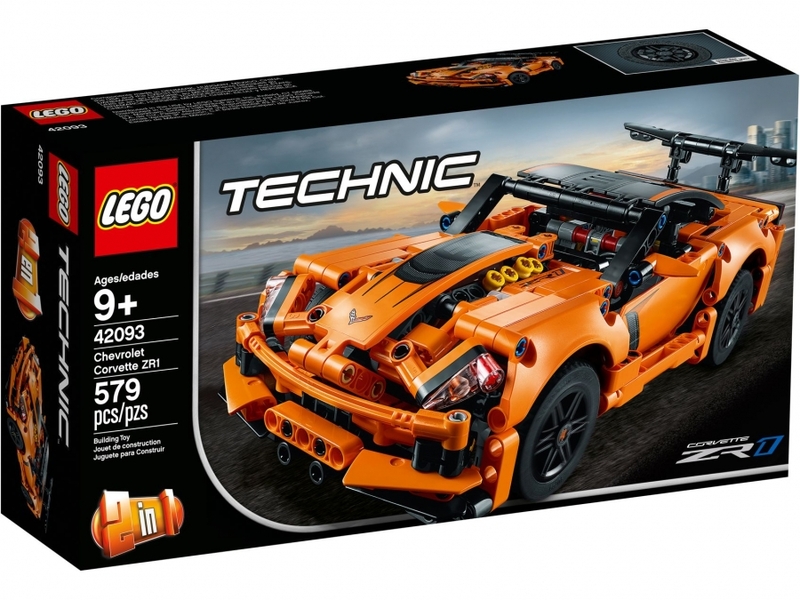 Recreate engineering excellence with this LEGO® Technic™ 42093 Chevrolet Corvette ZR1. Developed in partnership with Corvette, this exclusive model really captures the essence of the iconic supercar and comes with an authentic orange and black color scheme, black spoked rims with low-profile tires, large rear wing and 4 tailpipes. This Chevrolet Corvette ZR1 replica also features working steering and a visible detailed V8 engine with moving pistons. Rebuild this awesome 2-in1 model to create a realistic Hot Rod replica.